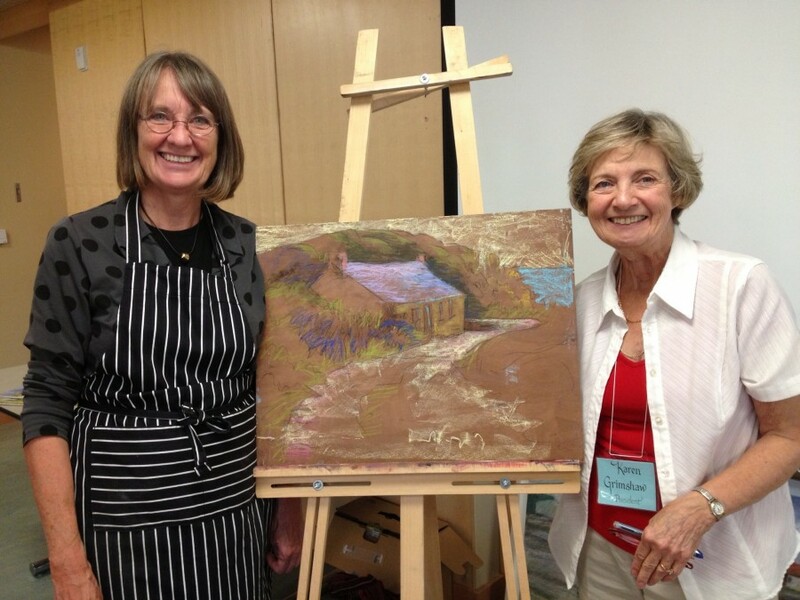 I’m with Karen Grimshaw, president of the MGA following my presentation and demonstration. I recently visited the Markham Group of Artists (MGA) to talk about the joy of working in oil pastel. Many people tell me that they have oil pastels in their kit but never use them because they’re not quite sure what support to use or how to preserve them. I’m always happy to talk about my process. Oil pastels are a very simple medium to use, require no special techniques, yet can be manipulated in many ways, have no smell, create no dust, are portable and can be applied to any surface. I concluded the morning by showing them the first steps I take to start a painting in oil pastel. Many thanks to Maureen Thompson for the invitation.